Home Do you want to see where the heat is when your multimeter finds a fault? Do you want to see where the heat is when your multimeter finds a fault? 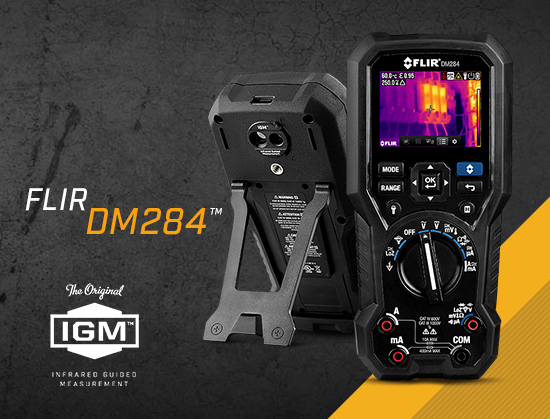 The new FLIR DM284™ is a digital mulitmeter and thermal camera together in one, made to solve any problem. Featuring Infrared Guided Measurement (IGM) technology powered by a built-in 160×120 FLIR thermal imager, the DM284 visually guides you to the precise location of an electrical problem, helping you pinpoint hot spots faster and more efficiently.